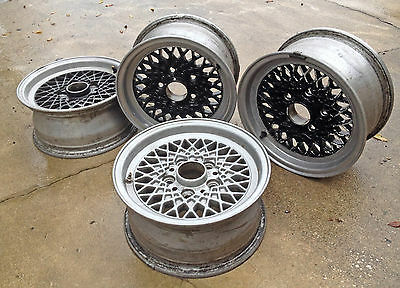 Complete set of four rare BBS ET22 wheels. 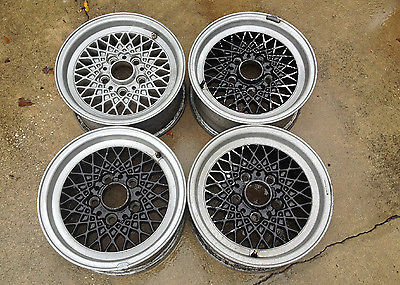 One-piece alloy. 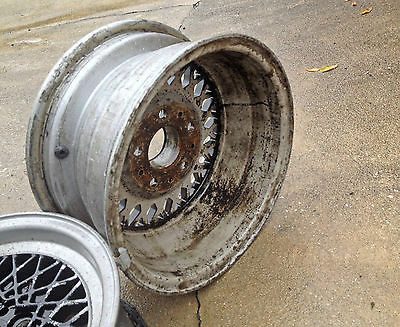 These are OEM BMW wheels from a 1980 633CSI. Will fit other applications, but please verify your car's specs before bidding. Functional and roadworthy, but could use some reconditioning. 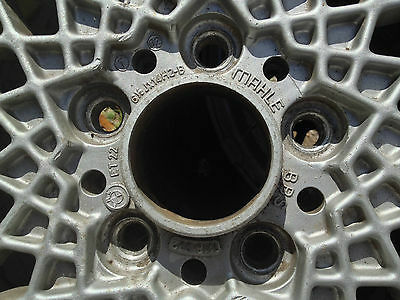 Typical wear on front surfaces. One rim has a minor bend on the inner lip (pictured). SPECS:Diameter: 14 inchesWidth: 6.5 inchesLug Pattern: 5 x 120 mmOffset: +22. No center caps and no lug nuts. Additional photos available upon request.